The office of the future will offer workers more location independence than ever before. This kind of freedom is enjoyed not just by freelancers and contract workers anymore; now, even salaried employees and managers at all levels are warming up to opportunities for location independence. The New York Times reported that more companies are offering telecommuting as a benefit, and that the typical telecommuter is a 49-year-old college graduate. The days of expensive video streaming equipment and fixed ISDN lines are long gone. Now, a laptop with a Wi-Fi connection serves as my bona fide virtual office. Skype and Google Hangouts are not only replacements for expensive video streaming equipment, but are now so good that they serve as substitutes for real physical meetings for my business. But what about having a mailing address and receiving packages? Services like Earth Class Mail obviate the need for this as well, allowing me to read my mail online and direct packages for shipment anywhere in the world. My dream of a paperless office is finally a reality. The list of digital resources goes on of course, and you may be surprised how many tools are available to create your custom virtual workspace. Business owners may also need to be more flexible on work hours to fit the ideals and productivity methods of the new generation entering the workforce. Gone are the days when work and personal life were completely separate, and that’s especially true in a location-independent work environment. What matters most for my business is that the job gets done, and that employees give it their all, even if it means juggling work time and personal time. Most of my staff are willing to make the sacrifice if it means greater flexibility overall, and they’re not the only ones. 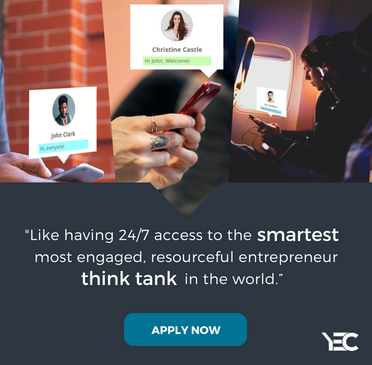 Take, for example, the young startup owner who feels he is more productive as a wide-eyed world traveler using his daylight hours to explore destinations, and shifting his work hours to the evening. If you are looking to take advantage of telecommuting, don’t look past co-working spaces. As central offices give way, we professionals will still occasionally seek out collaborative working environments. I’m a member of Betacowork in Brussels. Though places like these are not free of cost, they’re often much cheaper than traditional office spaces, and can be worth their weight in gold in terms of opportunities to find partners, future employees and even customers. To make the experience more seamless, many co-working spaces honor the Co-Working Visa, a program that lets entrepreneurs like me stop in at other spaces around the world for free. I was recently hosted at a co-working space in Taiwan and made some excellent business connections while there. Entrepreneurs might fear that by utilizing co-working spaces, they’ll compromise privacy for their startup idea or risk revealing trade secrets. The truth is, you have much more to gain by collaborating, learning, sharing and growing together with other like-minded individuals than you have to lose. For those with lingering doubts, most co-working spaces provide private meeting rooms too. Outfitting a fully functioning office does not come cheaply. Rent, utilities, furniture, office technology — all of this often has a hefty price tag. When your team members are responsible for developing their own workspaces, your business saves money. But that’s just the tip of the iceberg: your business also can save money with higher retention rates and fewer sick days. When my staff is happy and healthy, they’re more productive. It’s a win-win. In order for the concept of a truly location-independent office to fully take effect, entrepreneurs will have to become more familiar with managing a remote workforce, which starts with having a team of self-starters you can trust. In addition, online tools become a crucial component of management, especially for communication and project tracking. In my experience, I’ve seen that some staff are better at performing within an all-digital and remote environment than others. Taking the time to get communication right, be clear about deadlines and expectations, and familiarize new staff with the company culture is absolutely essential for managing a remote workforce. How quickly the location independence revolution gains traction remains to be seen. But one thing is for sure: entrepreneurs need to ready themselves and, rather than view it as a burden, consider all the reasons why location independence can be a strategic advantage for your business. Dave Boehl is a digital media entrepreneur in the online advertising space. He's the founder and CEO at GraphicBomb, an online media publisher and performance ad network helping travel advertisers such as airlines, booking sites, hotels, and cruise lines reach consumers with high travel booking intent.